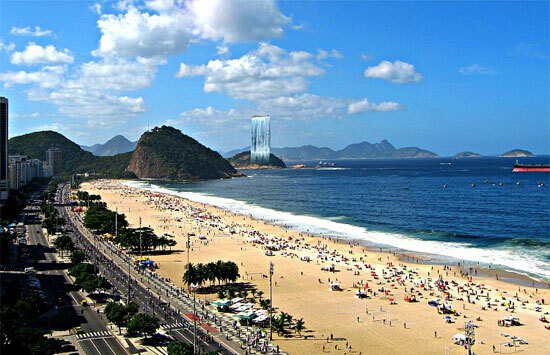 TheÂ 2016 Summer Olympics, officially known as theÂ Games of the XXXI Olympiad are scheduled to be held in Rio De Janeiro. 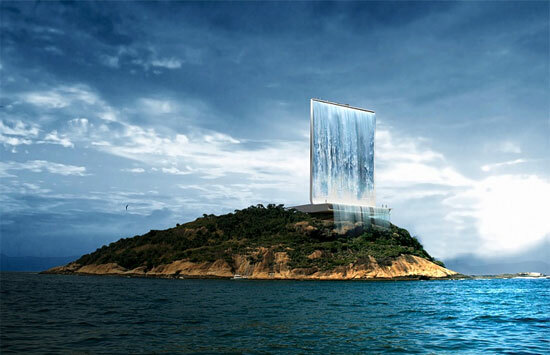 An innovative Solar Powered Water Fall – ” Solar City Tower”, located atop the island of Cotonduba is said to be the welcome symbol to the 2016 Olympic Games in Rio de Janeiro. 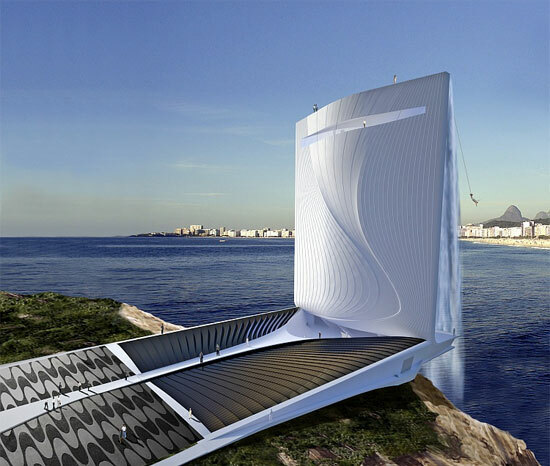 This 105 meter tower is meant to supply energy for all of the Olympic city, as well as also for part of Rio.Â It pumps up water from the ocean to create whatÂ appears like a water fall. 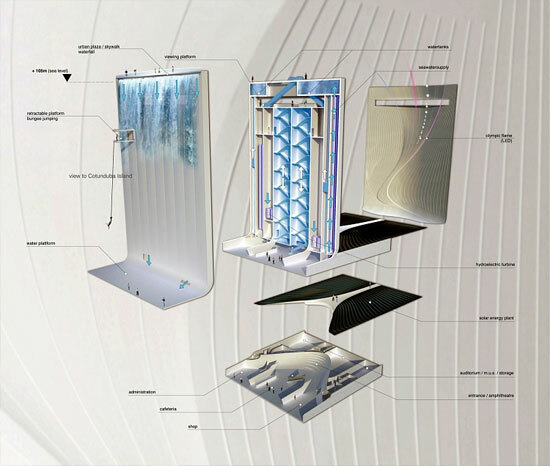 This stimulates turbines that produce energy during the night. 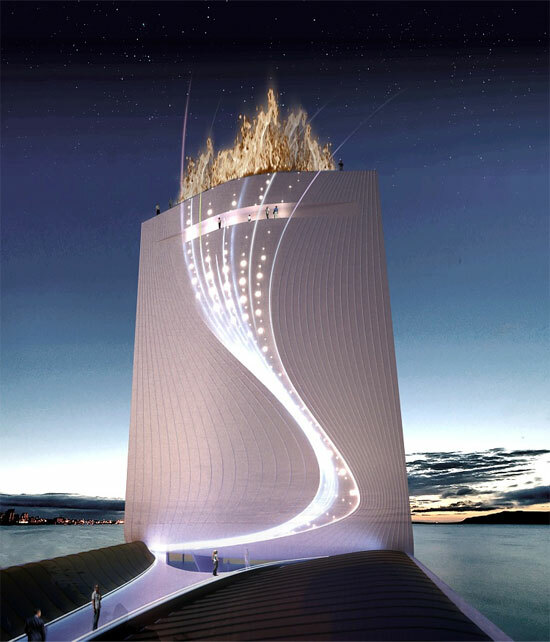 The Tower will consist of an amphitheater, an auditorium, a cafeteria, boutiques, and a top floor observation deck with a 360 degree breathtaking view of Rio. 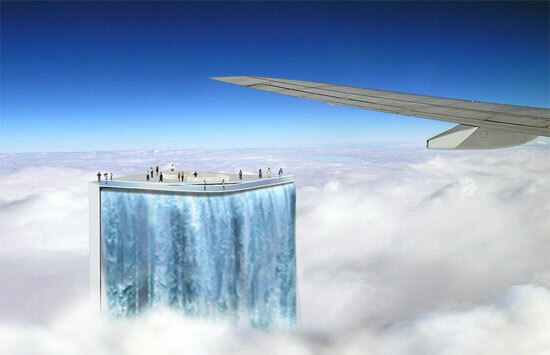 Oh, and for thrill seekers, they say there will be bungee jumping too!